Classes have a maximum of 12 students. Working in the glorious Victorian building of The National Arts Club that was once the residence of Governor Tilden, Monday through Saturday, students have the opportunity of selecting classes year-round in all genres: portrait, figure, still life, florals, landscape, cityscape, and preliminary drawing for pastels. It is the only art school devoted exclusively to the medium of pastel. Sennelier Soft Pastel – Set of 120 Half Sticks, – Paris Collection ($99+) The half sticks are more versatile and stronger than the full length ones. Drawing board or two sheets of foam core large enough to hold your paper, Sketch pad 9 x12 inches or larger. Ring binder type is easier to use. Kneadable eraser or STAEDTLER® Mars® plastic eraser; Knitting needle or 12 inch straight edge, for measuring; Artists drafting tape. Note; artist’s drafting tape removes easier; Glassine Paper big enough to cover your work to prevent smudging, some charcoal pencils and or vine chracoal; Picture Perfect “Three in One Plus” View Finder. Fees & Registration: 6 Classes $160; Single Class $40 (subject to change without notice). Please call beforehand. Class registration and information: Contact PSA office at 212-533-6931. Classes are ongoing and year-round. Payable to Pastel Society of America, Inc. (credit card, check or cash). This class will introduce students to the essential information needed to draw and paint still life and landscape using the pastel medium. Demonstrations and individual instruction will given. Topics covered: fundamentals of pastel, drawing, underpainting, light and shadow, composition, color theory, and basic perspective. Janet Cook is an award-winning pastel and oil painter who regularly exhibits her paintings in New York City galleries and museums. Wednesdays, 9AM-12PM Versatile, award-winning artist Diana DeSantis will lead students in classes — six weeks each of landscape, followed by still-life and then by portrait. The classes will be repeated in that order. A student can join at any point. Explore a variety of approaches in pastel with emphasis on structure, stroke, and pressure in limited palettes applied in layers to create delicate and luminous surfaces. 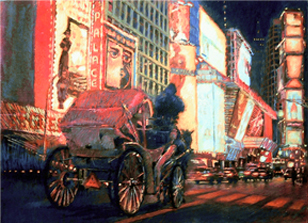 Wennie Huang, an award-winning artist who has taught pastel in New York City for over ten years. Weekly demonstrations and individual guidance will be the focus for each six-week segment as she covers floral studies, faces and portraiture from a live model, fabric and drapery arrangements to study the effects of light and shadow on varied surfaces. 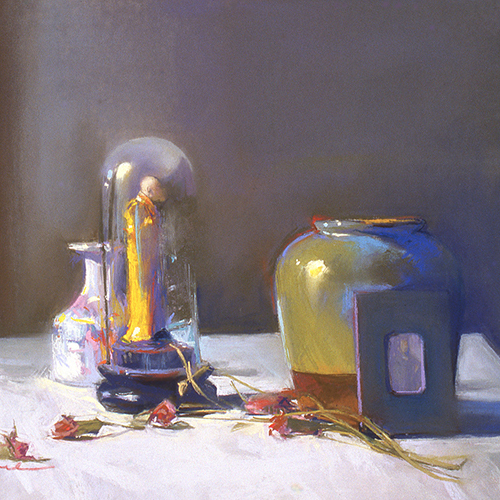 In this class, the award-winning instructor will cover the basics: how to use color to achieve harmonious effects and the use of the color wheel. There will be an emphasis on organizing the elements that make for a good composition. Along with improving their drawing skills, the students will be encouraged to use their imaginations and to develop their own style.